The Adobe Flash Player just said goodbye to the year with another bunch of vulnerability patches. 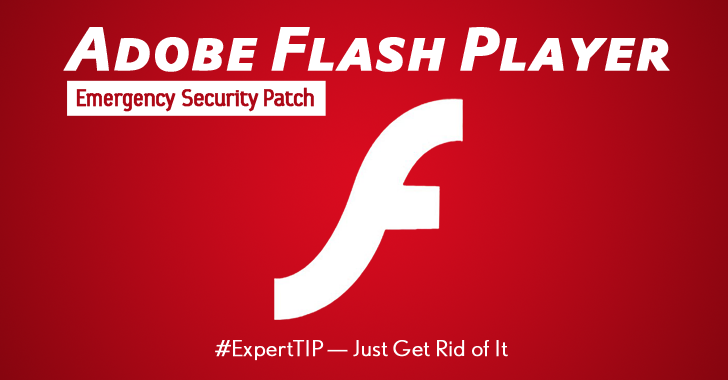 Adobe released an out-of-band security update on Monday to address Nineteen (19) vulnerabilities in its Flash Player, including one (CVE-2015-8651) that is being exploited in the wild. All the programming loopholes could be abused to execute malicious code (here malicious Flash file on a web page) on victims' computers in order to hijack an unpatched PC or Mac entirely. So, if you are running the Flash Player plugin on Windows, Mac OS X, Linux, or Chrome OS, it is time for you to upgrade your system as soon as possible before criminals start taking advantage of the bugs. The company did not provide many details about the attacks exploiting the Integer Overflow Vulnerability (CVE-2015-8651) discovered by Huawei, other than describing them as "limited, targeted attacks." Flash Player versions 20.0.0.267 and 18.0.0.324 for Windows and Mac users. You can also get the latest Flash Player versions from Adobe's website. However, if you really want to get rid of these nasty bugs, you are advised to simply disable or completely uninstall Adobe Flash Player immediately. Flash has plagued with several stability and security issues, which is why developers had hated the technology for years. Moreover, this is the reason Adobe plans to kill Flash Player and re-brands it as Adobe Animate CC — Adobe's Premier Web animation tool for developing HTML5 content.